Josh Hill playing for West Coast Eagles. Hill was there cheering when his junior football club Armadale played a grand final on September 12. The Hill family has a strong connection to the club, with some of Hill�s cousins still playing there, including former Eagle Ashley Sampi. Although 26-year-old Hill does not consider himself a �big deal�, he does see himself as a role model to younger kids. �I get back there (Armadale Football Club) and see kids walking around and some kids say hello and I am happy to answer any questions,� he said. �Anything is possible if you put your mind to it no matter where you come from. 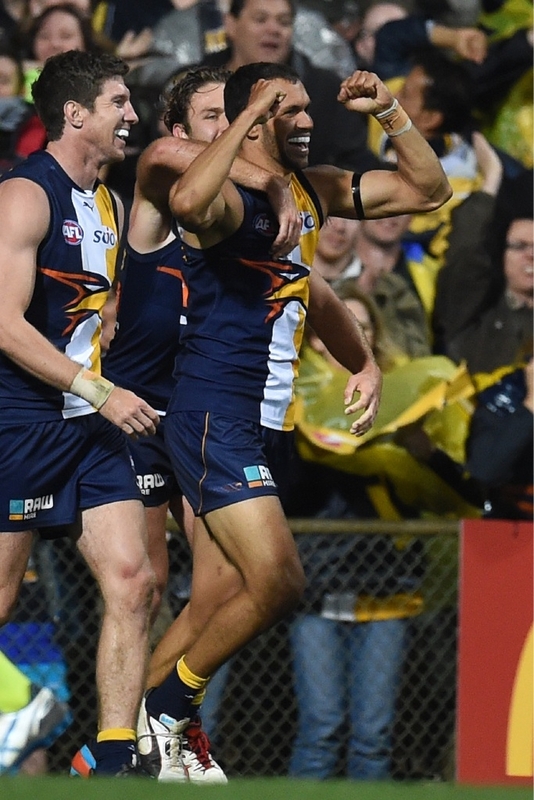 Hill has had a strong season playing for West Coast Eagles up forward, booting 38 goals in 20 games which also earned him a one-year contract extension until the end of next year. �I was happy to get an opportunity to play at the start of the season after missing a few games,� Hill said. Armadale Football Club football manger Lee Cover said Josh Hill regularly came back to watch the club. �Just because of how well he�s done, and at the end of the day, he�s still a boy from Armadale,� he said.